Get a shulker box item. Look at the item in your inventory (not as it appears in your hand or as an item dropped on the ground). 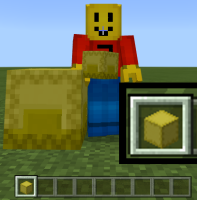 Notice that it uses the same texture on all sides, unlike how it appears in your hand, as an item entity, or as an actual block.